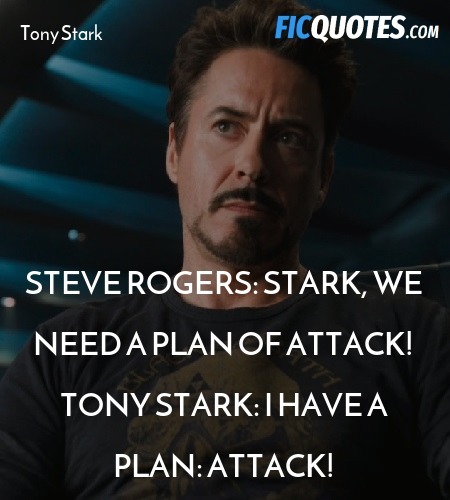 The Avengers (2012): Iron Man "I Have A Plan... Attack"
Tony Stark: That is the point. That's Loki's point! He hit us all right where we live. Why? Tony Stark: Yeah, divide and conquer is great, but he knows he has to take us out to win, right? That's what he wants. He wants to beat us, he wants to be seen doing it. He wants an audience. Steve Rogers: Right. I caught his act at Stuttgart.